I started studying the causes and consequences of incarceration for the Open Philanthropy Project. The subject is full of mysteries. 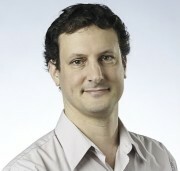 Here’s one. The strange thing is, the experts aren’t completely sure why the rise and fall. Many theories have been offered, and many may hold truth. There were disproportionately many young men in the late 1960s. Abortion was legalized in the early 1970s. Lead came out of the gas in the late 1970s. 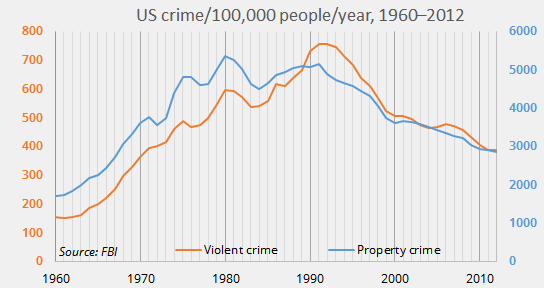 Yet, argues Michael Tonry, the crime drop of the last few decades is not a distinctively American achievement. 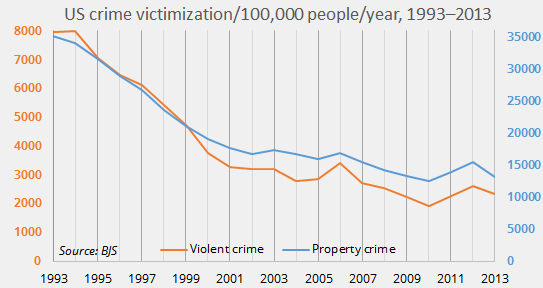 Crime has fallen in other wealthy, English-speaking countries, and in much of Western Europe. Probably the rise that started in the 1960s is partly a statistical mirage. Over time, people may have become more apt to report crime to the police, the police more apt to file a report, and local law enforcement agencies more apt to deliver the data to the FBI’s computers. 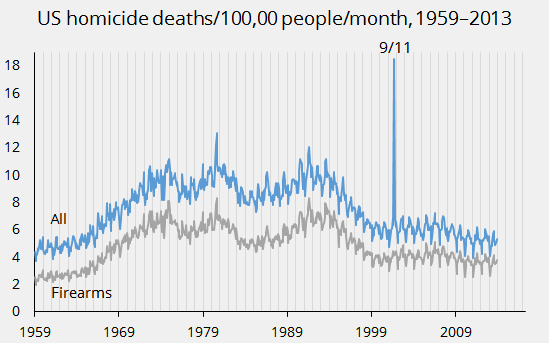 The US murder rate started to rise around 1965 (despite any gains in emergency response). Most of the murders were committed with firearms. 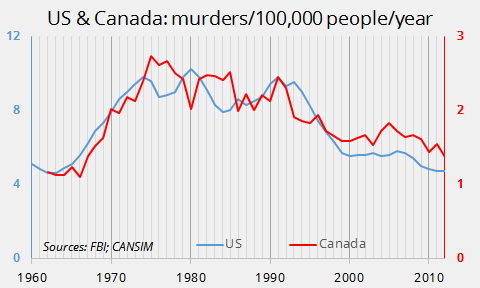 The tight US-Canada fit is powerful because it tends to rule out many factors as major drivers of US crime trends. For example, the US prison population has mushroomed since the early 1980s, while the Canadian one has not. So it’s hard to see then how all that American punishment should get much credit for the crime drop. Why did the murder rate start to rise around 1965? Clearly, America was at a historical turning point, changing in complex ways. Francis Fukuyama calls it the Great Disruption. Anger bubbled over. Trust in institutions fell. The population under 30, prone to crime, expanded as baby boomers came of age. Did the Great Disruption also somehow cause a crime wave? Fukuyama suggests so, but his argument didn’t convince me, at least in the short form I read. Freakonomist Steven Levitt has argued that the youth bulge could explain only a fifth of the crime increase then. And if the youth bulge were the driver, why did crime fall even as a second wave—the boomers’ children—swept to adulthood in 1990s? On November 22, 1966, just about when those murder rate curves bend upward, teenagers in Hollywood demonstrated on Sunset Strip. The spark was a strict new curfew aimed at them. But the demonstration meant more. “Protesters over the 10 o’clock curfew, Vietnam, the racial issue,” said one a news announcer, “fanned the flames of the already excited listeners.” As day turned to night, protest turned to riot. The LA police moved in with billy clubs and tear gas. Those strains of paranoia and mystery pretty well captured the cultural moment—and criminologists’ confusion about it 49 years later. There’s something happening here. What it is ain’t exactly clear.